Catch POWERS Writer Brian Michael Bendis on Late Night With Seth Meyers Tomorrow 1/20! Leave a Comment on Catch POWERS Writer Brian Michael Bendis on Late Night With Seth Meyers Tomorrow 1/20! Eisner Award winner Brian Michael Bendis, writer of Marvel‘s graphic novel series Powers, is set to appear on Late Night With Seth Meyers tomorrow night, January 20th! Bendis, making his Late Night debut, will discuss not only his graphic novel series Powers as a whole, but also the upcoming Playstation original series based on the comics. The Sony Pictures Television series “Powers” will star Sharlto Copley (District 9, Elysium, Maleficent) and Susan Heyward (The Following, Mother of George) as Christian Walker and Deena Pilgrim, respectively, two homicide detectives assigned to investigate cases involving people with extraordinary abilities– Powers. For more info about Powers the series, you can check out their Facebook and Twitter pages, and keep an eye on #PowersonPS. 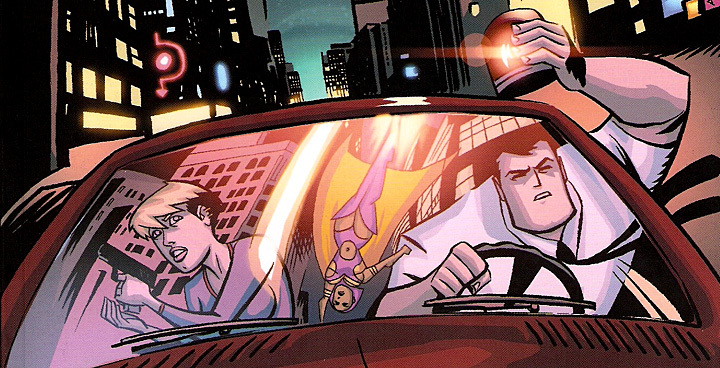 And stay tuned to NYCityGuys for your latest Powers and Marvel news!